Spiritual, educational and social support since 1993. Each year Seeds of Hope coordinates a community event to bring people together on the National Day of Prayer and corporately bow our heads and pray collectively. For 2019 we're trying something new and hope you'll be a part of it. 1) Join us in person at The First Presbyterian Church Family Life Center 2-3 PMfor meditation, reflection, and prayer. 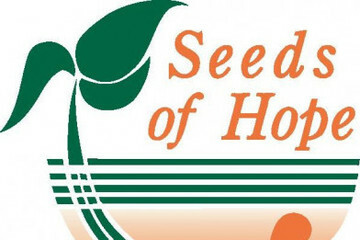 At 2:19 PM we will LIVE stream on the Seeds of Hope Facebook page allowing others who can't join in person to be a part of a 5 minutes corporate Casa Grande community prayer. 2) Log into our Seeds of Hope Facebook page at 2 PM to be a part of a watch party. The watch party will feature videos from Christian artists that encourage us to meditate, reflect, and pray. At 2:19 PM the watch party will end and you can join our 5 minutes corporate community prayer as we LIVE stream from the Family Life Center. The After-School Program is a FREE program for children in K-5th grade. It follows the school calendar, meeting Monday - Friday from 3:00pm - 5:30pm at the MACC.